I make snowglobes, or snow-less waterglobes, whichever you prefer. Since I’ve never used “snow” I make up my own terms. 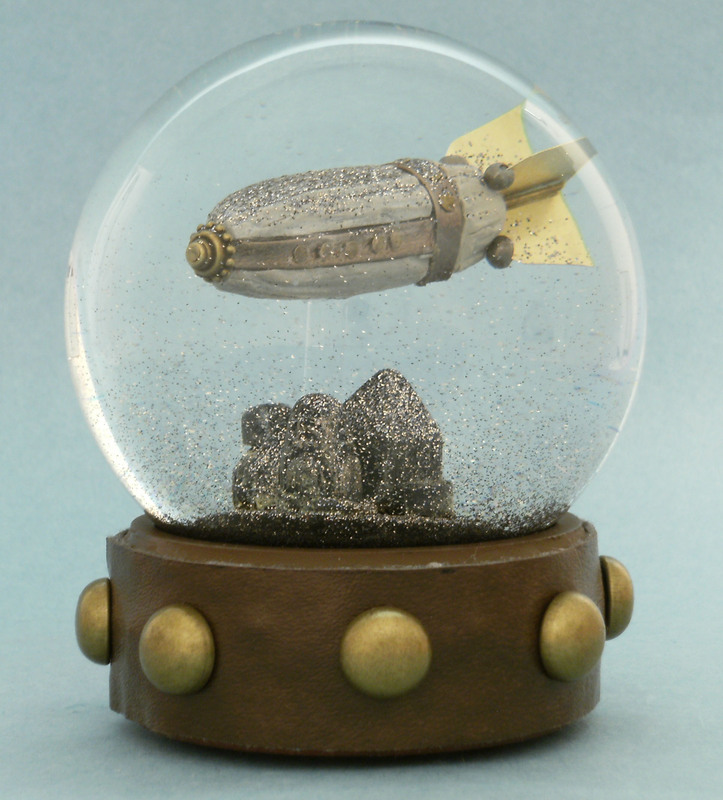 Someone asked: how did you get into steampunk designed snowglobes? But I make other snowglobes that — while they may be appealing to some who like and live steampunk — are probably in a genre yet to be named. 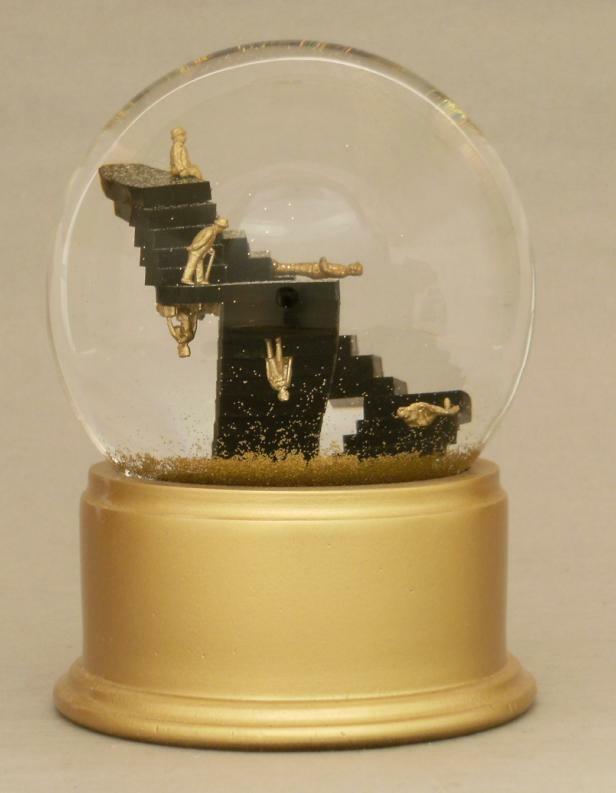 The snowglobe “Point of View” with its Escher-like staircase and endless marching figures is one of those. I make what I like, and what amuses me. Sometimes it feels “steampunk” and sometimes it’s pure fantasy, sometimes it’s just an emotion or visual balance that I find wistfully appealing. I’m working on another staircase piece now, but it uses impossibly tiny Mechwarrior-like Metal robots instead of people on the stairs. I have no idea what slot that will fit. If a rose by any name would smell as sweet, then I can hope my waterglobes will appeal to some people, or not, regardless of the category or the name. I like going back and forth between styles and developing along parallel paths. 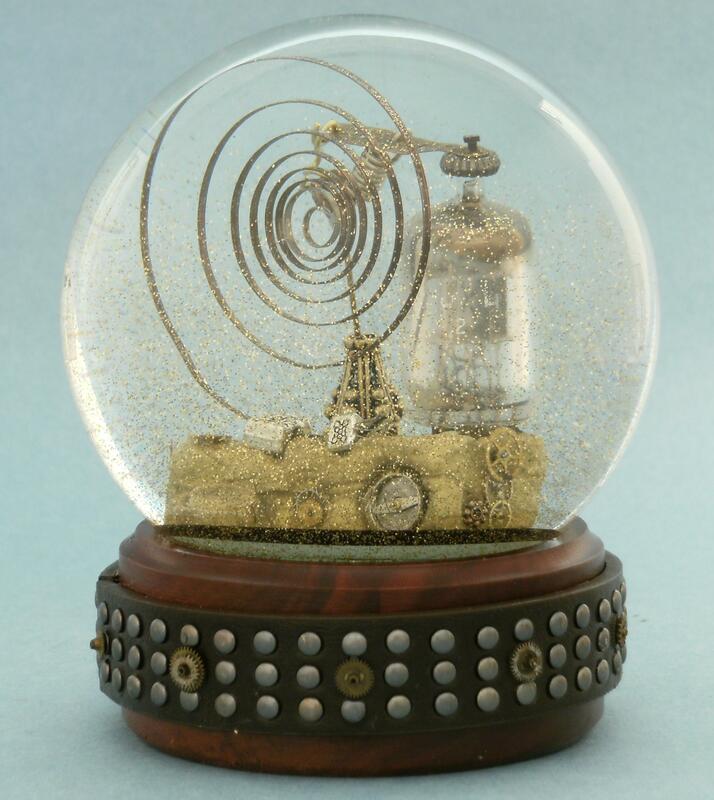 This entry was tagged scifi snowglobe, scyfy waterglobe, steampunk snowglobe. Bookmark the permalink.